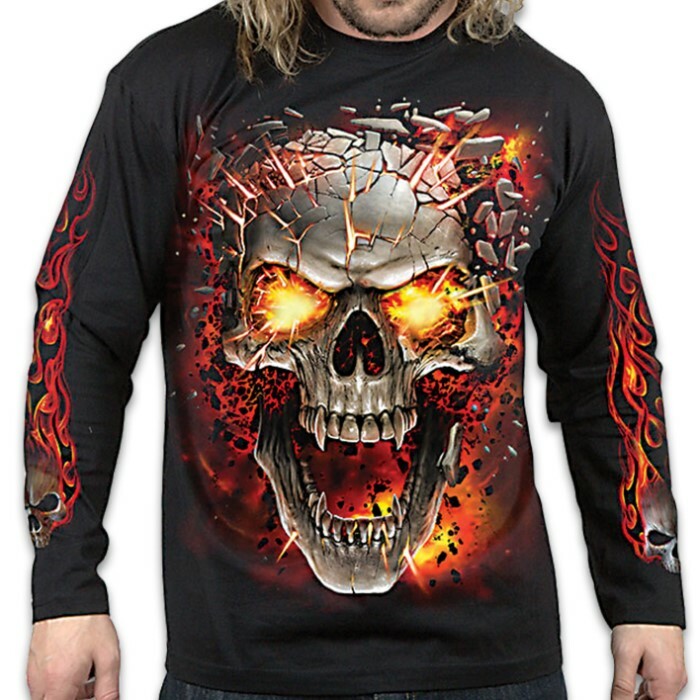 Explosive Skull Blast Black Long-Sleeve T-Shirt - Top Quality Cotton Jersey Material, Azo-Free Reactive Dyes, Original Artwork | BUDK.com - Knives & Swords At The Lowest Prices! Ever feel so much pressure building up inside your brain that you’re worried it might explode? Scorching hot magma and flame erupts from within this demonic skull, splintering it into a million fragments and scattering them to the wind. 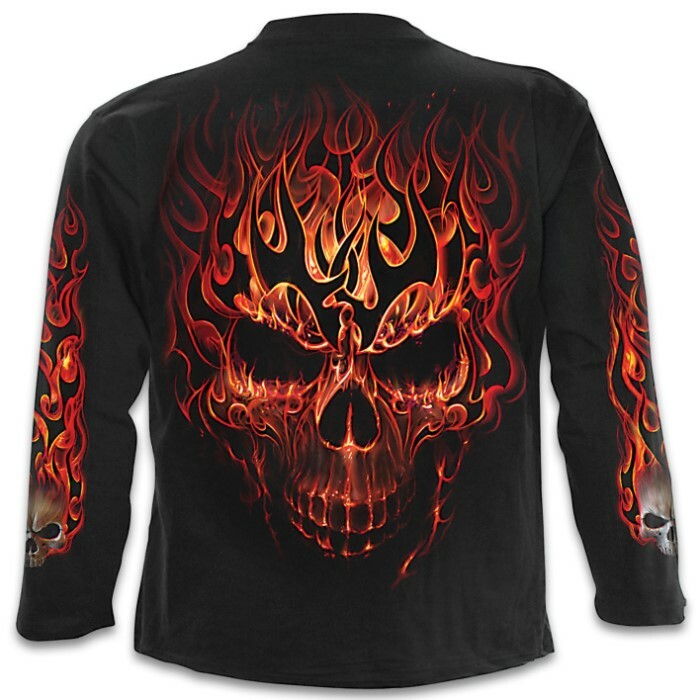 The front and back of this t-shirt feature the vivid, volcanic skull design and it is full blast with detail. The detailed, original artwork is printed on high quality jersey material using skin-friendly, Azo-free reactive dyes. 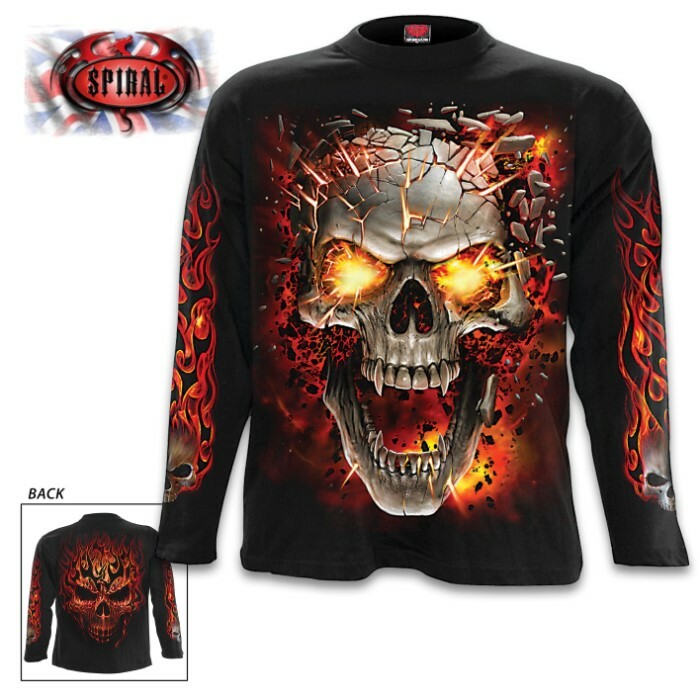 Add this explosive long-sleeved t-shirt to your closet and you’ll find yourself wearing it all the time!